Johannes Fried, professor emeritus of Frankfurt University, authored a massive introduction to the Middle Ages called (unsurprisingly) The Middle Ages. It was translated into English by Peter Lewis in 2015 and published by Harvard University Press. If you are interested in medieval European history this is the book for you. His thesis is that the Middle Ages has been unjustly characterized as “The Dark Ages”. In truth, technological developments, new political theories, and religious and philosophical movements paved the way for the Renaissance. The passage I am sharing with you today is about the West’s debt to the court of Charlemagne (Charles I), the son of Pepin the Short and the most celebrated leader of the Carolingian Empire. In the book blogging world we often overlook scribes and translators despite the enormous contributions they have made to preserving culture and nourishing reform movements. Officially, the comprehensive educational program of antiquity was never abandoned; nevertheless, the efficiency of the “private” education system, which was not in “public” hands – not least because of Christian misgivings about its pagan orientation – had declined sharply in the dark centuries of the Early Middle Ages, when sources were few and far between. Certainly, the Merovingian kings must have had a comparatively good literary education; the entire system had not collapsed by any means. And yet, there was no denying that knowledge and skills had dwindled and atrophied. Only under the Carolingian king Pepin and above all his illustrious son did a decisive move in the opposite direction begin. Here and there, ancient manuscripts with pertinent texts were still to be found, but it was a laborious task tracking them down, and then they required patient copying work to save them and once more disseminate the learning they contained. Despite the claims of the Renaissance and Enlightenment, Roman antiquity is only visible to us nowadays through the lens of this early medieval interest, and the efforts of these Carolingian conservators. As a rule, the material from which these old volumes were made was the comparatively cheap but less durable papyrus. Following the slump of scribal activity and papyrus production, the consequences were catastrophic. Even by the Early Middle Ages, the stocks of papyrus were in decline; in the late eleventh century, only the papal chancellery still had quantities of this writing material. The rest of the Western world had to make a virtue of necessity and switch over to the more expensive but more durable vellum. Apart from a very few exceptions, virtually no papyrus roll with a scholarly text has survived down the ages. Fire, water, rot, and mice took a heavy toll on the vital transfer of knowledge. The results can be quantified in terms of sheer numbers: of the sometimes enormous ancient libraries containing as many as an estimated one million books, absolutely nothing survives. 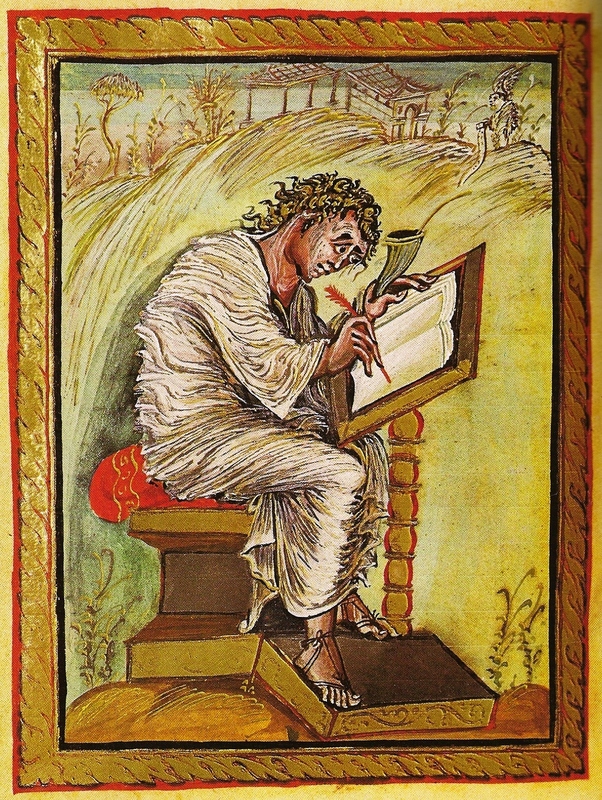 If the contemporaries of the Carolingians had not undertaken a systematic search for ancient texts and manuscripts with an eye to copying them, and if they hadn’t used durable vellum in the process, most of the works of ancient, especially Latin, scholarship and literature would have been lost forever. No Cicero, no Quintilian, no Virgil, no Horace, no Ars amatoria, no Gallic Wars would have survived, let alone any of the ancient Christian authors. Charlemagne’s thirst for knowledge effectively saved these texts, indeed the whole of the Latin educational program of the Liberal Arts and their handbooks of the Mechanical Arts, as well as the unique splendor of Roman literature. In the absence of this, the late medieval Renaissance is unthinkable (52-53). If there has ever been a reason to support humanistic studies, this is it! I love Medieval history. If you have been following my blog, this is no great secret. But, thus far, I have only shared with you literature that treats the Middle Ages. Below are listed two courses on the Middle Ages. Both are free courses found online at LearnersTV (www.learnerstv.com). The professor is Sally N. Vaughn from the University of Houston, and the lectures seem to have been recorded in the early 2000s. I started watching these lectures last Monday, and they are very well done. There are a few primary sources that I have come across so far in these courses. I look forward to reading at least the first volume of The Ecclesiastical History of England and Normandy – probably not all 13! I thought to share because there are some great lectures online and works in the public domain concerning Medieval history. Early this month, I went on another of my book hunts at the university library. I found a history book on the Crusades, and after making sure that the Amazon reviews were mostly positive, I checked out Sacred Violence: The European Crusades to the Middle East 1095-1396 by Jill N. Claster, professor emerita at New York University. Sacred Violence (2009) mostly covers the six crusades but ends with a discussion of other European wars that are frequently considered crusades by Medieval scholars. After reading Sir Walter Scott’s Ivanhoe last month, I naturally became interested in the crusades. In particular, I wanted to know more about King Richard I of England (also known as Richard Coeur de Lion, or Richard the Lionhearted). Richard I was crowned king of England in September 1189, during the Third Crusades. After the death of his father, Henry II, the newly crowned King Richard left England and set off for the Holy Land with the French King Philip II Augustus. Financing all the crusades was a costly undertaking. Henry II and Philip II had imposed crusade taxes on all their people, save knights and the clergy. After building a navy and touring Europe, King Richard finally left for the East. Along the way, the English king got into a shipwreck and had his supplies stolen by the Cypriots. So, Richard conquered Cyprus. Acquiring Cyprus helped the crusaders send supplies easily to the Holy Land. Richard and Philip then sailed to Acre and besieged it. The Ayyubid Emperor Saladin agreed to give Acre to the two European kings under certain conditions which Philip and Richard accepted. But, when Saladin did not fulfill his end of the deal, Richard hanged 2700 Turks. Richard next set off for Jerusalem. He wanted to take it but because his supplies were limited, he did not. 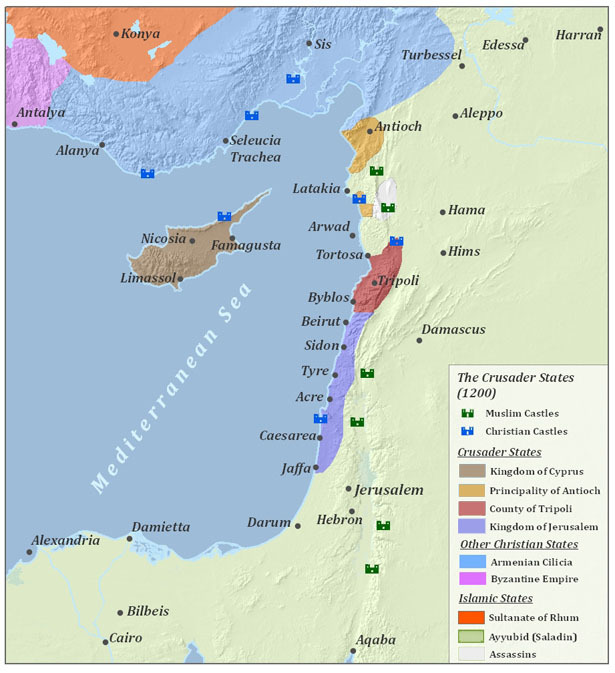 Richard I and Saladin signed a treaty whereby Christians could travel and live in Jerusalem for almost 3.5 years. All coastal cities were given to the Franks, but Ascalon was under Muslim rule. Without Ascalon, the Christian capital was now at Acre. The Third Crusades came to an end. Richard returned home in October 1192, but was captured and made prisoner by the Holy Roman Emperor Henry IV. Once he was released, Richard fought against Philip II . He was shot by an arrow and died on April 6, 1199. Richard the Lionhearted became a legendary figure in England. A statue was erected in his honor in the nineteenth century. Although Richard killed thousands of Turks, he has gone down in history as a man of great courage and determination. Sacred Violence is a very balanced account of the crusades. It is well-written and beautiful. The many photos of Medieval artwork enhance the text. Dr. Claster refers to and quotes a few important medieval chroniclers, including Fulcher of Chartres and William of Tyre. Claster shows how crusading ideology changed over time from a purely religious endeavor to one that was more politically motivated. It is interesting to note that, after the end of the sixth crusade, many Templars were burned at the stake for their sins. St. Bernard of Clairvaux was a great preacher of the crusades. He formed the Templars, influenced papal decrees, and inspired Church councils. I plan to read his book, In Praise of the New Knighthood in April or May. Reading Sacred Violence is at once enjoyable and disturbing. Written for undergraduates, it is not pedantic. 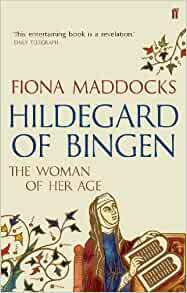 It is a fantastic contribution to medieval and crusade scholarship.